“Innovative Pastels” is our winter workshop July 30th and 31st with Victorian Pastel artist Catherine Hamilton. This workshop will include techniques of painting with pastel on Canvas. Here is another example of her work. While Catherine has gained recognition for her portraits, she also paints the human form, landscape and still life. Background: Born in Surrey, UK 1957. 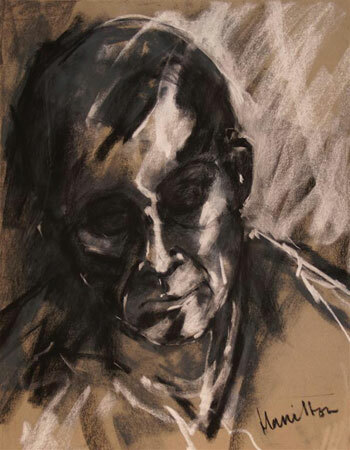 Studied Fine Art at Epsom School of Art, Surrey and Life Drawing at the Chelsea School of Art, London. Studied under renowned UK Portrait artist Ken Paine. She is a member of The Federation of British Artists, The Australian Guild of Realist Artists and the McClelland Guild of Artists. Catherine has had many Exhibitions in the UK and Australia and is represented in numerous galleries. 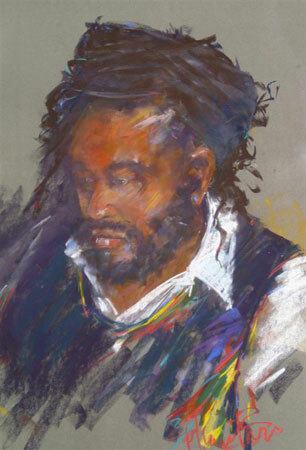 At a solo portrait show May 2004 Robert Wade, who opened the show, is quoted as saying “This is one of the most exciting shows I have seen in many years”. Perhaps we can catch some of this excitement in our Innovative Pastel workshop! If you think you may attend, please contact the co-ordinator Kathy Bruce: kathleenbruce@bigpond.com or 02 6025 5913 so we can confidently book Catherine before she leaves for her OS workshop tour in April. Click here to download enrolment form.